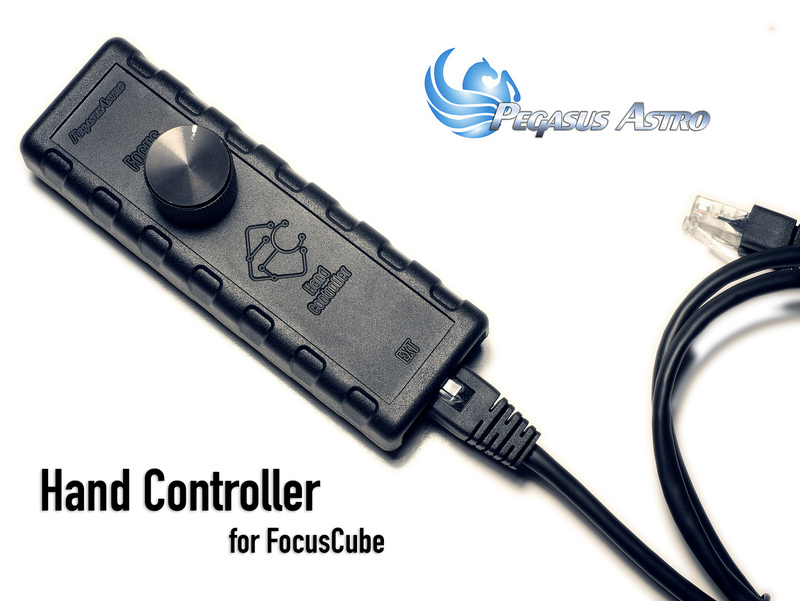 Click the button below to add the Pegasus Astro Hand Controller for FocusCube to your wish list. Enables manual focusing on Pegasus Astro FocusCube (both universal and SCT version). Rotating the digital knob of the hand controller to achieve precise and stable focusing without introducing hand vibration to the telescope, allowing you to judge critical focus easily. A single press of the knob will switch the hand controller into precision mode, reducing the movement to 1:10 just like the fine focusing knob on your telescope.